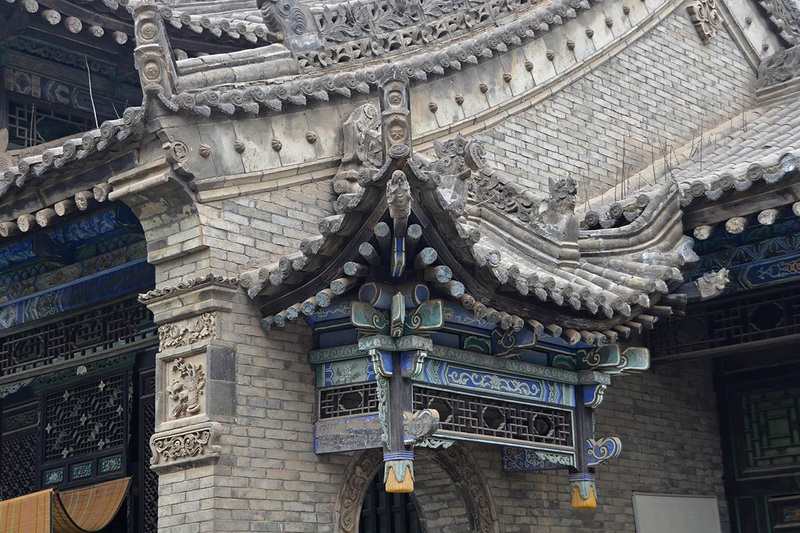 Xian-capital of Shaanxi Province, lies in the protected valley of the Wei River, a few dozen miles west of the Wei's confluence with the Huang He. 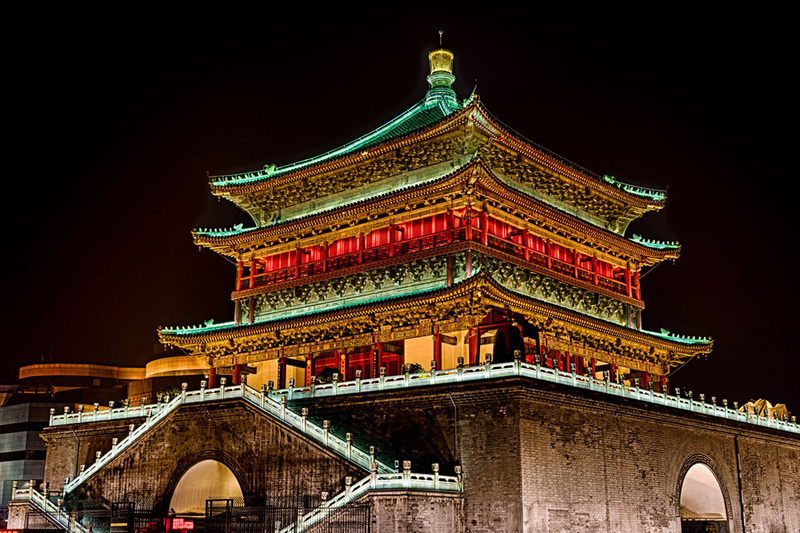 During the Tang Dynasty (618-907), Xian was the largest city in the world. 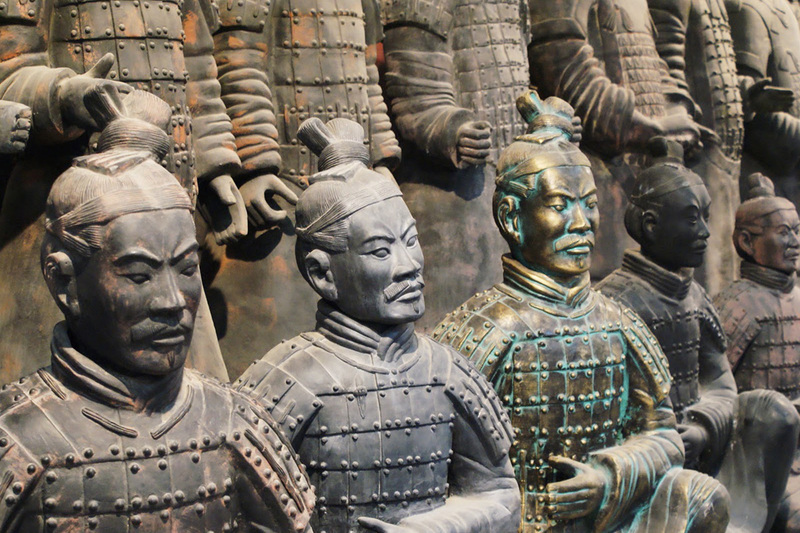 Linked to many central Asian regions and Europe via the Silk Road, thousands of foreign traders lived in the city. Modern Xian is much smaller than in it was in the Tang Dynasty but it still retains reminders of its former glory. In its earlier days, a large wall surrounded the city. The city itself stretched over six miles from east to west and nearly five miles from north to south. 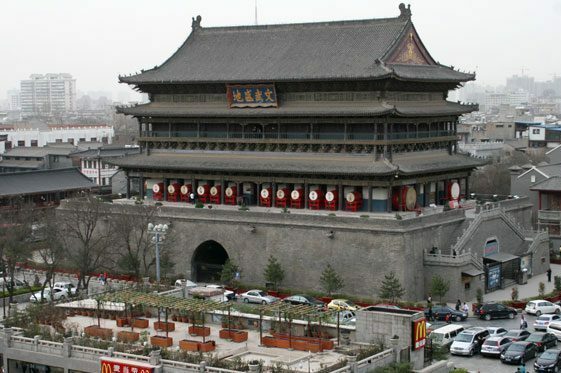 Although the wall built during the Tang Dynasty no longer exists here, nine miles of the wall from the Ming Dynasty still surrounds the center. Xian's climate has moderate seasonal variation. At the beginning of spring and autumn, the days are pleasantly cool; the rainy season lasts from July to October.